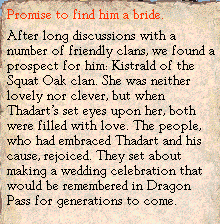 Even Tusk Rider-faced people can find love. 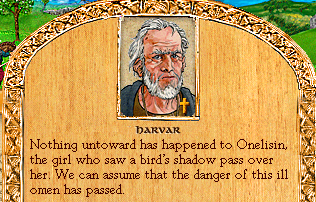 The birdshadow event is the best because I've never seen anything bad happen to the girl involved in it. Just spew some words to make the people feel better, and it's basically a non-issue. 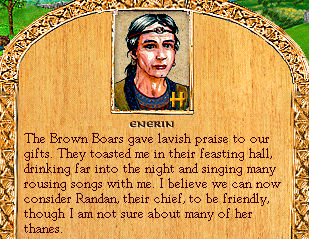 Enerin brings mixed news about the Brown Boars. 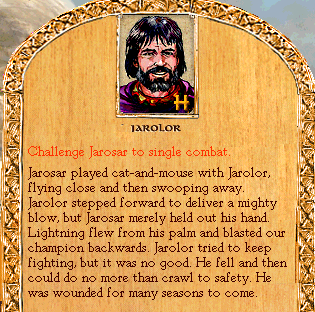 I'm this close to just sending Jarolor away on missions during Fire season so he can't keep getting himself maimed during raids. This is what happens when you give your punching bag clan half a chance to regroup. I'm looking at you, Mr. "stop pummeling the Vostangi over and over! Fight someone else for once!". A delegation from the Culbrea tribe approaches your tribe in hopes of making a peace agreement. "We should unite in peace, in honor of Ernalda. We will be safe and prosperous, and can enforce Heort's laws. The destructive raids we launch against one another will be a thing of the past." 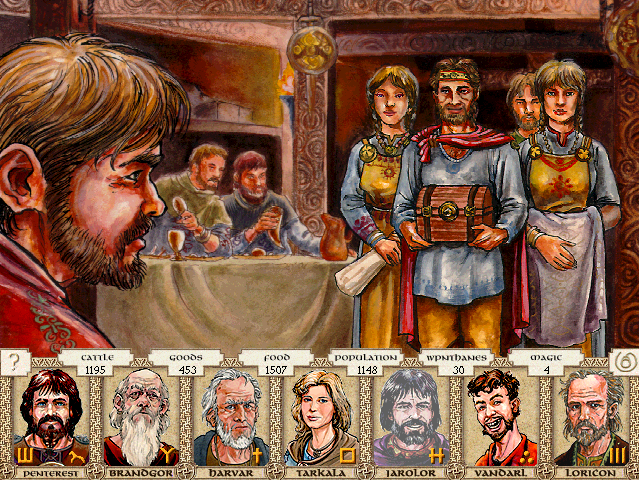 The clans of your tribe retreat to a moot to discuss the offer. -"Make peace if they sacrifice to strengthen our magic." -"Make peace if they give a treasure to each clan." -"Make peace if they give cows to each clan." -"Our two tribes should ally to make war on another tribe." -"They are swine. We should never make peace with them!" 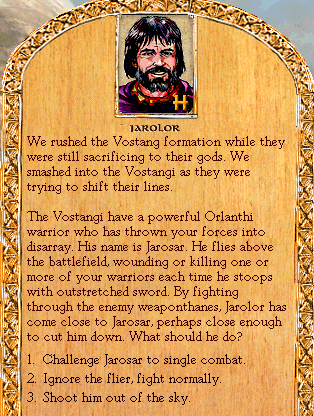 Note: The Culbrea tribe contains our hated enemy, the Vostangi. 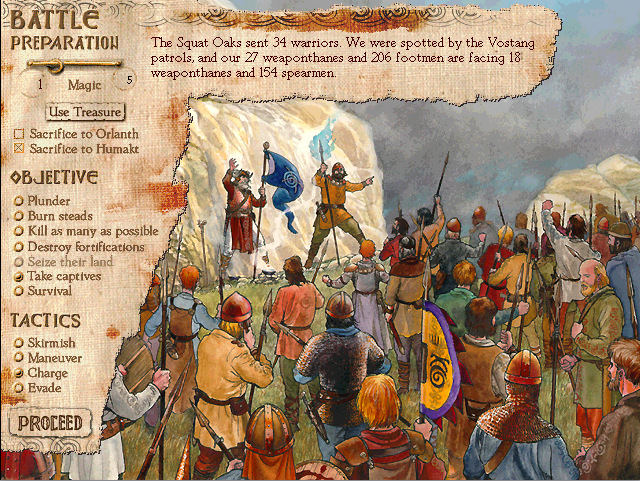 If we make peace with them, we'll be expected to stop raiding the Vostangi. On the other hand, they'll be expected to stop raiding us as well. The other clans of the Culbrea are the Wolves, Undaroli, Woodpeckers, and Jenestni. Our tribe-mates resent our political maneuvering. They're not likely to follow our lead. Peace is good - while it lasts. 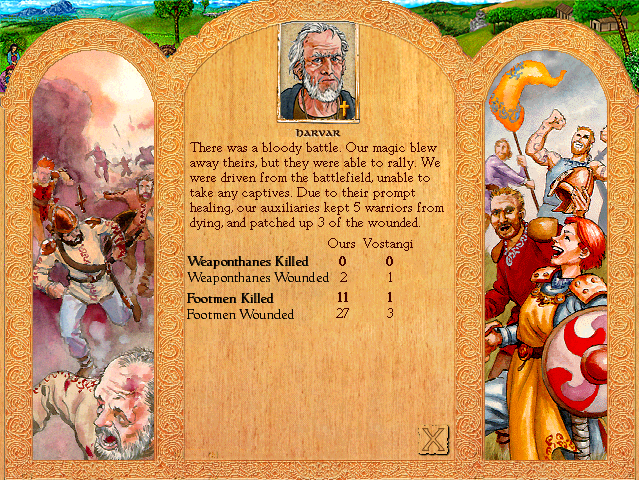 It is always good for two tribes to make war against another tribe, if you are one of the two. They should sacrifice for us. The other members of our tribe hate us and will do the opposite of what we say. We should suggest the thing we least want. Treasures are valuable trade goods.